Mr. Kirsch’s primary practice areas are insurance and maritime casualty litigation, including subrogation (cargo, property, hull, and workers' compensation), insurance defense, insurance coverage, and general commercial litigation in both maritime and non-maritime areas. Mr. Kirsch is an experienced trial lawyer active in every stage of litigation, from pre-suit through and including appeals. He has achieved successful results through mediation, settlement and trial in numerous cases, including seven figure recoveries for plaintiffs. Mr. Kirsch's published case results include Caravel/Woodwind Charters, Inc. v. Tahoe Keys Marina, LLC, 2008 AMC 321 (ED.Cal. 2007); Caravel/Woodwind Charters, Inc. v. Tahoe Keys Marina, LLC, 438 F.Supp.2d 1174 (E.D. Cal. 2006); Deltak, LLC v. Industrial Maritime Carriers Worldwide, 2004 AMC 1781 (N.D.Cal. 2004); and LG Electronics, Inc. v. Fritz Transportation International, 2002 AMC 106 (N.D. Cal. 2001). Mr. Kirsch is the firm’s hiring partner. Mr. Kirsch has been named as one of Northern California’s Super Lawyers by Super Lawyer Magazine every year since 2012. This honor is awarded to those lawyers who are among the top five percent of Northern California attorneys based on input by their peers and review by a Blue Ribbon Panel. In 2013, Mr. Kirsch was honored by the American Lawyer and the National Law Journal as one of the top-rated lawyers in transportation law. 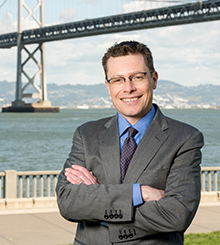 Mr. Kirsch serves as the Education Chair on the Executive Committee of the Association of Marine Underwriters of San Francisco. Certain Liability, Uncertain Property Damages: How Do You Recover? Subrogator, Fall 2006. Cargo Subrogation: Avoiding Pitfalls and Putting Liable Parties on the Defensive Subrogator, Fall 2005 (co-written with Jennifer Tomlin Sanchez). Mr. Kirsch was a regular contributor to the Pacific Coast Forum, a publication of the Board of Marine Underwriters of San Francisco, as the author of Case Notes and rotating editor. Mr. Kirsch regularly speaks on cargo subrogation for various audiences, including the National Association of Subrogation Professionals and the National Property Subrogation Strategies Execusummit.